When comic book writer Stan Lee died at age 95 on Nov. 12, he left behind an expansive legacy. Lee co-created some of the most iconic superheroes in pop-culture including Spider-Man, Thor, the Hulk, Iron Man, Black Panther and more. His career began with ideas of characters and plot lines that he put to paper, but transformed into much more. Lee was born Stanley Martin Lieber in New York City on Dec. 28, 1922 to a family of working-class Jewish-Romanian immigrants. Stan Lee, the father of Marvel comics, passed away on Nov. 12th. Gage Skidmore/Wikipedia. In 1939, he got his start at Timely Publications as an assistant. During his time as an assistant, Lee would pick up lunch for the office and refill ink. He was later assigned to the comics division and worked his way up, eventually becoming editor at age 18. 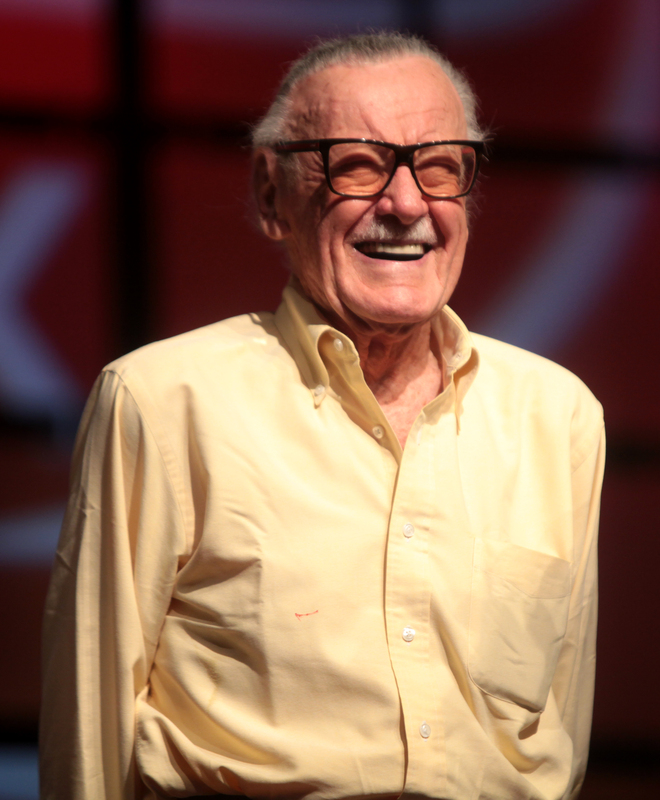 He was so dissatisfied with the stories he was creating that he began writing under the name Stan Lee, in an effort to make sure his real name would not be associated with his work. Around age 40, Lee was about to give up writing comics, but his wife, Joan, encouraged him to continue to write and create the stories that he truly wanted to. Around this time a rival superhero team had been created for DC Comics. This team included Superman, Wonder Woman, Batman and more. This inspired Lee to create the Fantastic Four in 1961 alongside artist Jack Kirby. The Fantastic Four was the first of many creations Lee and Kirby collaborated on together. The duo created Hulk, Thor, the X-Men, Iron Man and more. Timely Publications later became Marvel Comics, which Lee continued to write for until 1972, when he became publisher. Lee began to slowly become less and less involved in the daily duties of the business and instead assumed the role of figurehead. Lee was well-known for the characters he created, but he also wrote a column called “Stan’s Soapbox” for nearly 40 years. Lee’s characters resonated with readers because they were relatable through their struggles with issues such as bigotry, inequality and even drug abuse. They sometimes also had social commentary included. In a 1965 issue of X-Men, Lee and Kirby began to write using a socially relevant metaphor for the characters. The mutant characters of the X-Men were written as a persecuted minority and were hunted. For the first time, people of color—such as Storm—were included in the superhero group. So were Jewish characters, like Magneto, whose origin story begins in Auschwitz. His worldview and understanding of mankind are developed through the death and brutality he witnessed. Lee paved the way for minorities to become more prominent characters in stories. For Austin Brady, a junior computer science major, Lee’s legacy will not die with him. “He provided imagination and entertainment that will live on for generations to come—a true pioneer,” said Brady. No Replies to ""A true pioneer." Stan Lee, founder of Marvel Comics, remembered for the characters he brought to life"